Kinugawa Onsen is a hot spring resort near the city of Nikko that is named after the Kinugawa River which flows through it. The town is a good place to overnight when visiting Nikko and can add a little fun and relaxation to complement the culture and nature of Nikko. 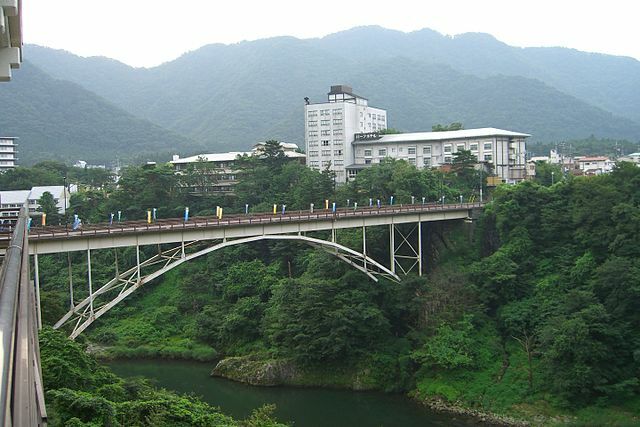 The central area is home to several hotels, pensions and ryokan, most with their own hot springs. A few free Ashiyu "foot baths" can also be found around Kinugawa Onsen. If you can spare the cash and time, it may be worth it head up northward to one of the many tiny hot spring hamlets collectively known as Okukinu Onsen. 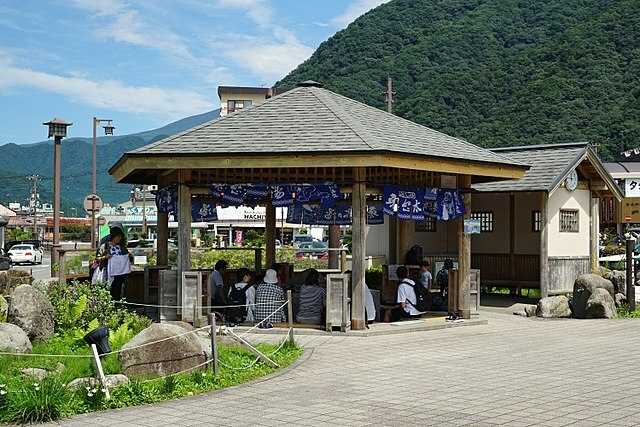 Four buses per day run from Kinugawa Onsen Station as far as Meotobuchi Onsen "at the entrance of the Okukinu area", from where staying guests get picked up by their ryokan by van. In addition to hot spring baths, the town has some interesting amusement parks, and can be easily combined with a visit to Nikko as well. Edo Wonderland Nikko Edomura is a cultural theme park that resurrects and showcases the life and culture of the Edo period. The park is really a small town that hosts Edo period architecture from rural lodgings to urban samurai residences and government buildings. Park guests have the opportunity to dress up as well "costumes can be rented for a fee" and tour the town. 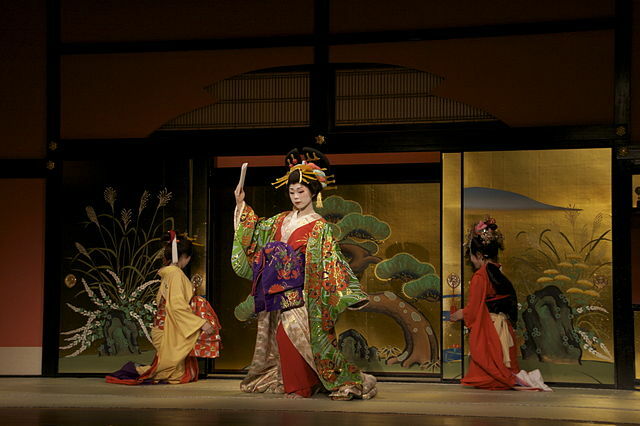 It also features 7 theaters featuring various traditionally themed shows including Ninja action and Oiran shows in addition to outdoor live shows, seasonal festivals, restaurants and shops most of which sell souvenirs such as teapots and woodblock prints. 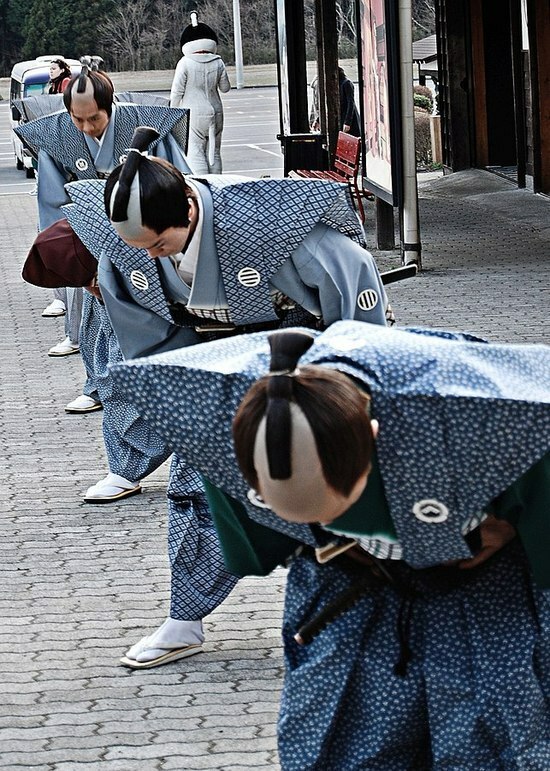 Edo Wonderland also has a range of visitor experiences for adults and children including Ninja workshops, Japanese traditional archery and Shuriken "hand blade" throwing. Tobu operates buses between Kinugawa Onsen Station and Edo Wonderland "takes about 20 minutes". 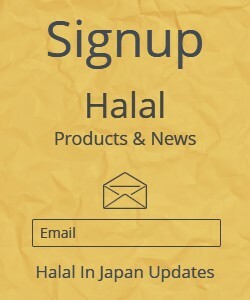 They are covered by the Kinugawa Theme park Pass and the Marugoto Nikko Kinugawa Free Pass. A free shuttle bus also operates between Nikko Edomura and Fujiya Tourist Center near Nikko's Toshogu Shrine "takes about 35 minutes". 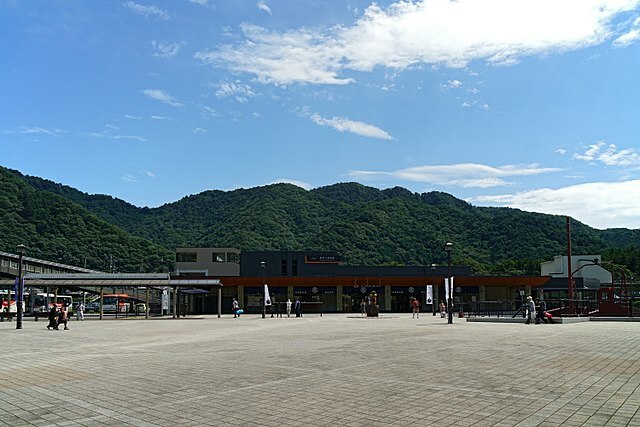 To visit Tobu World Square you can also take Tobu Buses from Kinugawa Onsen Station to Tobu World Square "takes about 5 minutes". From Tokyo Tobu Asakusa Station take a train to Kinugawa-Onsen Station. Travelers have the option between the fast and expensive limited express trains "takes about 2 hours", and slower but cheaper express and local trains "takes about 2 hours and a half". For a guidebook visit the closest Tourist Information Centers.